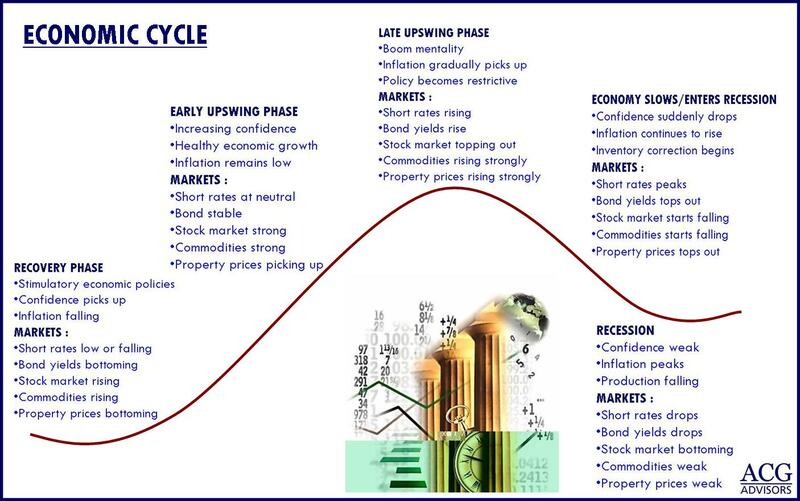 How Stock markets behave within Economic Cycle? Referring to following linked images, when I look into each phase of economic, the behaviour of stock market is not matching each other. During the recovery phase, Bonds get bottoming and Stock is rising in image 1, but Stock should not be rising at all until Bonds is rising first in image 2. Does anyone have any suggestions on which one is correct?